I’ve got these plastic bracelets on a “everything-cheap-store”. They cost only 50 cents, and I thought at that price I could always do something with. So I customize them with lycra socks ( clean and new one ;). Encontré estos brazaletes de plástico en una “tienda-de-todo-barato”. Sólo cuestan 7 pesos, pensé que a ese precio siempre podía hacer algo. Así que los personalizé con medias de lycra ( limpias y nuevas ;). Put the bracelet in the tights and cut each side leaving an edge to seam. Join the two parts of the tights and sew them together. Turn seam to the inside, and voila! Coloque la pulsera en la media y cortan de cada lado dejando un borde para la costura. Unir los dos bordes de la media y coser los juntos. En este punto, la pulsera está dentro de la tela y la costura está en el exterior del bracelete. Gire la costura hacia el interior, y ¡voilá! It took me 10 minutes to make. It’s easy and can easily be changed.. I think it should work with any stretch fabric (jersey, lycra …) and with any color bracelet … there are still many design to imagine! Me tomó 10 minutos hacerlo. Es fácil y se puede cambiar fácilmente. 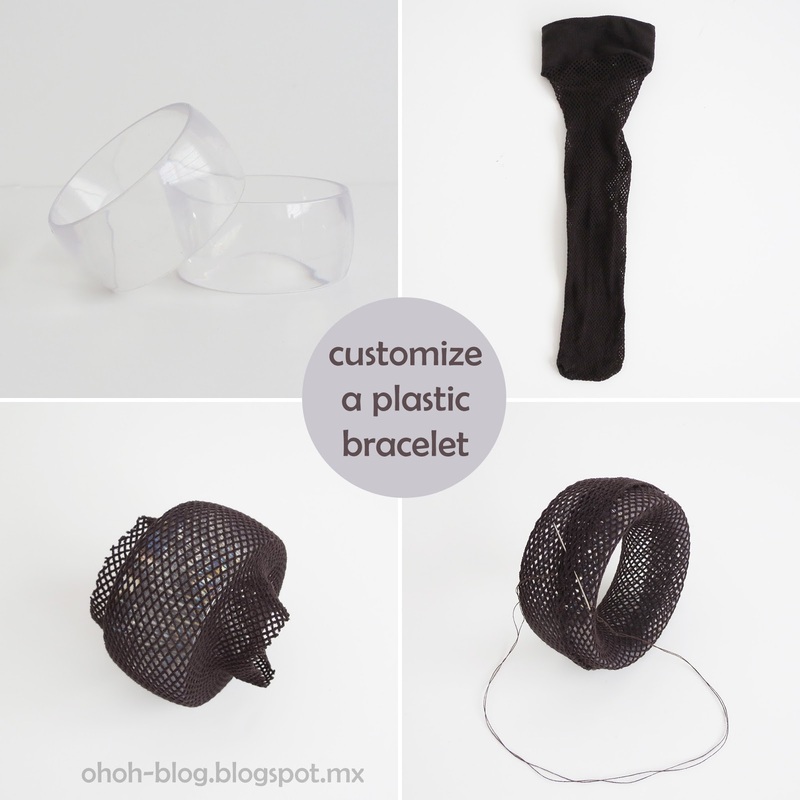 Creo que debe funcionar con cualquier tejido stretch (jersey, lycra …) y con cualquier pulsera de color … todavía hay muchos diseños que imaginar! 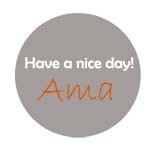 Thanks, I like your blog to! Are you gonna make a tutorial for those fabulous cord necklace you made? I hope you have a few lesser-known blogs that you would like to showcase too! Thank you for nominate me…again! You can see my nominated blogs in this post http://ohoh-blog.blogspot.mx/2012/11/v-behaviorurldefaultvmlo.html! Happy to have found out about your blog! I love this it's very simple. I bet old tribal socks or leggings would be great too! WOW! Simple as can be and unlimited styles to try it out with! Wow! I am shocked how I haven't thought of that! Too CooL!